Nikolaus Rajewsky and his research colleagues may have opened a door to a whole new world – a world full of new research possibilities for doctors and biologists, as well as one that could help us diagnose and treat certain illnesses and better understand life itself. It all began in 2013 when Rajewsky, a professor of systems biology at the Max Delbrück Center for Molecular Medicine (MDC) and the Charité University Hospital in Berlin, discovered thousands of RNA molecules shaped like rings. There was speculation at the time as to whether these molecules could have an impact on higher brain functions. This is exactly what Rajewsky can now show in one of his works published in Science magazine. RNA is usually found in a linear shape rather than circular. Biologists have known about the linear molecule for a long time. RNA is involved in transmitting the genetic material from a cell’s nucleus. The molecules work like messengers, transporting genetic information from the nucleus to the ribosomes, where they are translated into proteins. It is only in the last two decades that scientists have begun to understand that the role of RNA is not limited to transporting information from the nucleus to the ribosomes. 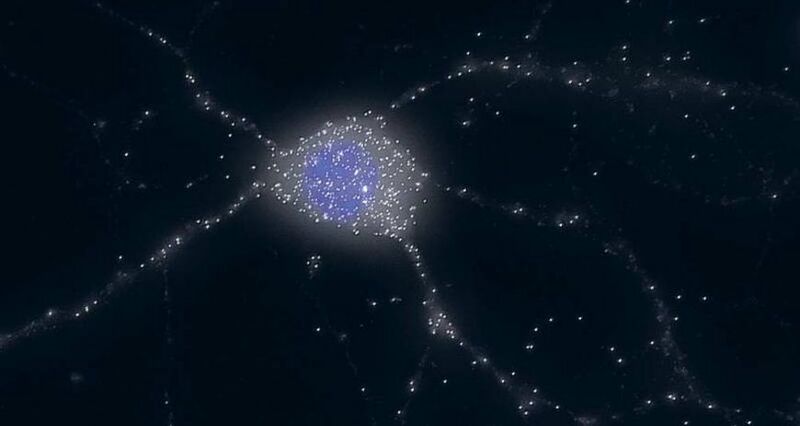 They discovered a whole range of non-coding RNA molecules and their function is just beginning to be partly understood. Researchers have sporadically come across circular RNA molecules in the body since the 1970s. However, Rajewsky and his working group were the first to uncover the majority – particularly in the brain – of these circular RNA, circRNA for short, in 2013. Scientists from around the world immediately took interest in the phenomenon; hundreds of papers on the topic have been published in the last four years. “At the time, it looked as though we had found some kind of parallel universe,” said Rajewsky. His latest work published in Science magazine, however, is the first research that points to the purpose of these circRNA, which exist in every cell nucleus in the body. In the study, Rajewsky and his team deleted a certain circular RNA molecule called Cdr1as in mice. The result: The mice demonstrated obvious behavioral disorders. Their startle reflex (pre-pulse inhibition) was impaired. This reflex helps both mice and humans appropriately respond to sounds and other sensory stimuli in environments with different levels of background noises. It was discovered that the impairment was due to suboptimal synaptic transmissions, which are vital in learning processes. 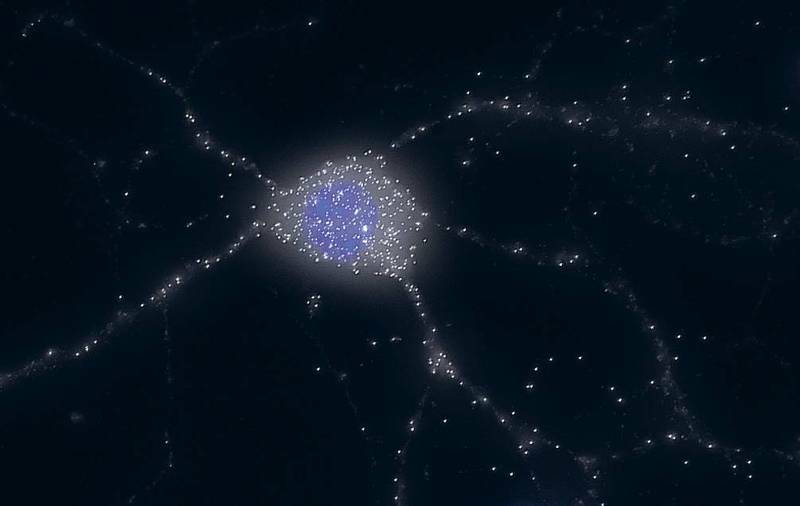 “For the first time, we can now link circular RNA to higher brain functions,” said Professor Jörg Vogel, founding director of the Helmholtz Institute for RNA-based Infection Research (HIRI) at the University of Würzburg. The latest circRNA research will likely give the field greater impetus for further study. “It is certainly a possibility that circular RNA plays a significant role in fundamental cell mechanisms and thus could serve as a starting point for new treatment concepts and diagnostic tests,” said Vogel. But how is it possible that the apparently important role of circRNA in the cells was overlooked for so long? “It’s mostly due to technology,” said Rajewsky. Even the most advanced microscopes do not enable researchers to see the full range of molecules. “We always have to have some idea of what we’re looking for, and then we can find it,” stated Rajewsky. Few had been searching for circular molecules in recent decades, though this certainly will not be the case any longer. Additional research and findings linking circRNA and higher brain functions are expected very soon. Furthermore, a specific characteristic of circRNA is especially intriguing for scientists: They are particularly long-lasting due to their shape. The circular molecules can float around within cells for days, while linear molecules often start breaking down in minutes or even seconds. Thus, circRNA is an appealing candidate for new therapies. At the Helmholtz Institute for RNA-base Infection Research (HIRI) in Würzburg, researchers are looking at ribonucleic acid (RNA) and the role it plays in infectious diseases. The Helmholtz Centre for Infection Research (HZI) in Braunschweig and the Julius Maximilian University of Würzburg (JMU) work together closely at the institute. Researchers see large potential for RNA as a starting point for new pharmaceutical products and as a direct therapeutic agent. The founding director of HIRI is Jörg Vogel, director of JMU’s Institute for Molecular Infection Research. In March 2017, Vogel, a renowned RNA researcher, was awarded the Leibniz Prize, Germany’s most prestigious research award, in recognition of his research in the field of RNA biology.